HomeNew CarsNewsFiat Punto Discontinued In Europe - India Next? The third-generation Fiat Punto is certainly among the longest-running new-age cars we have today. Introduced in 2005 as the Grande Punto, a bigger alternative to the second-gen Punto (which never came to India) and sold alongside it for a few initial years internationally, the car was in production at Fiat Chrysler Automobiles’ Melfi plant in Italy for 13 straight years. Fiat launched the Grande Punto in India in 2009. When the Punto’s facelift came in 2014, the Indian & global versions were not exactly styled the same. However, both the versions were christened ‘Punto EVO’. The India-spec 2014 Punto EVO had significant changes up front while the global version had milder cosmetic updates. While the Punto’s sales are nothing to write home about, its timeless Giorgetto Giugiaro design can still turn heads. And there’s also the crazy 147PS Abarth version that made it one of the most powerful hatchbacks in India. The Punto’s dismal performance can’t be blamed to a lack of equipment. It was, in fact, one of the most loaded premium hatchbacks in the country at one time, with features such as fire prevention system, climate control unit, “Blue&me” Bluetooth phone integration powered by Microsoft in its kitty. However, it has now been bettered by newer rivals and is hardly rolling out of showrooms. The Punto also had an AMT option (called Dualogic) in some other markets long before Maruti made it popular in India. 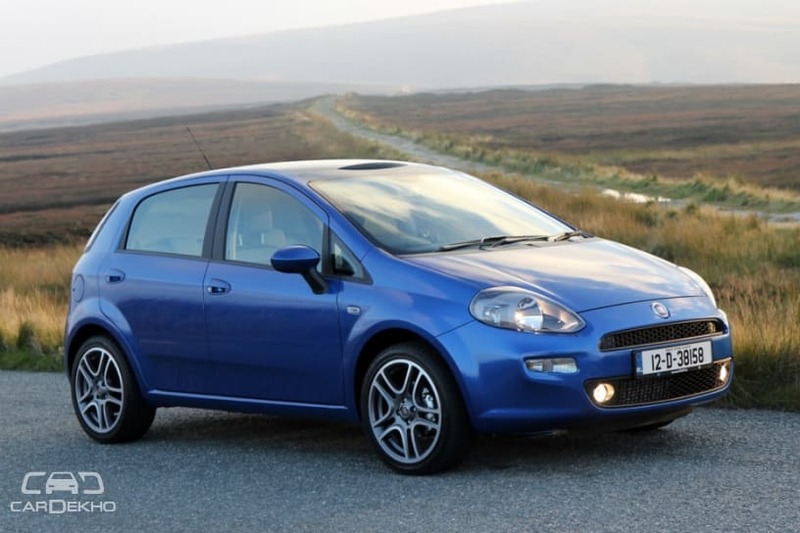 The AMT version was not introduced in India and so Fiat lost an opportunity to make the Punto a more appealing package. There won’t be a global successor of the Punto. FCA announced in its new five-year business plan (2018-2022) in June that the Fiat brand will be focusing on its number churner nameplate, the Fiat 500, and will also introduce the next generation of the Fiat Panda sub-4m crossover. The Punto’s legacy will, however, be alive in Latin America, where Fiat launched its spiritual successor in the Argo. Sadly, it’s not expected to be a global nameplate. Since the start of this year, the Fiat Punto EVO has not crossed three-digit sales even once in a month in India. It is unlikely to last long and Fiat might eventually pull the plug on the Punto in India as well. While FCA has not announced Fiat’s future plans for India, it hasn’t even indicated about its wrap up. At the moment, the Italian-American conglomerate is focusing on expanding the Jeep brand and we’ll get to see more Jeep SUVs such as the Renegade and a made-for-India sub-4m SUV in the near future. It remains to be seen if FCA could turn the brand Fiat around again & make it thrive in India the way it used to during the Padmini era.